Shaun the Sheep Movie Teaser Trailer Released! 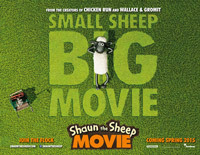 Shaun the Sheep is due to star in his very own movie! From Aardman, the makers of Wallace and Gromit and Chicken Run, Shaun the Sheep the Movie is coming to cinemas worldwide in spring 2015! Here’s the first teaser trailer to mark the start of his big screen adventure! New Game: Super Sheep Shearer! Attention gaming fans! 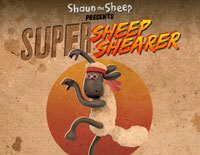 You can now play Shaun's brand new game "Super Sheep Shearer" over on the CBBC website! The aim of the game is to see if you can shear your opponent of their woolly coat before they shear you. Armed with a mysterious, intergalactic shearer you'll be able to shave off your opponent's fleece each time you copy the sequence correctly. You'll also need to block your opponent by using your trusty dustbin lid to stop them getting anywhere near to your coat. Can you be the last fleece standing? Announcing March' Art Yard Winner! 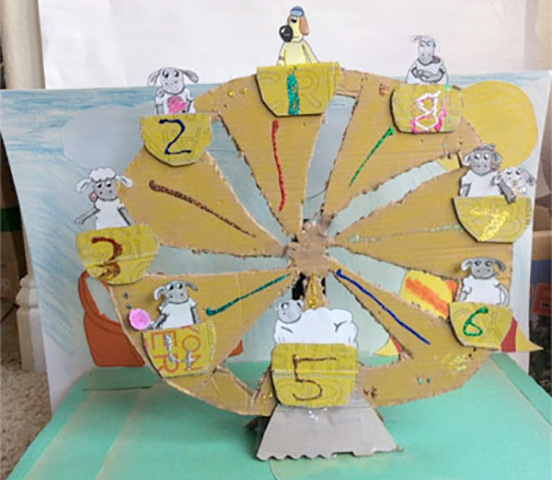 Our March theme really sparked your imaginations and we've had great fun looking through your creations showing the flock having fun at the fair. The originality and creativity of your drawings, collages and models really wowed us this time! After taking a good look through all of the entries we chose Aaliyah Saada as our overall winner. Well done to everyone who entered - we hope you had fun taking part! Enter this month’s Art Yard for a chance to win a Shaun the Sheep soft toy, pencil case, plus a certificate signed by Shaun's creator! The theme for this month is "Easter Day Fun on Mossy Bottom Farm". Good luck! We know Shaun likes to make his mark wherever he goes but we'd never seen him appear on nail art until Doha shared her picture with us on Facebook! 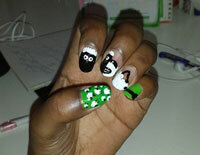 We think Doha's nails look fantastic and have been busy giving each other Shaun manicures here at Aardman HQ! If you've got an interesting Shaun-themed photo you'd like to share with other fans why not drop us an email or post your pic on Shaun's Facebook fan page? 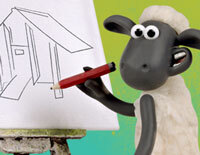 Design a Hen House & Win an Aardman Model Making Experience! We've teamed up with the Soil Association to offer you a fantastic challenge with an amazing prize for the winning entry. To take part you need to come up with an original and creative design for a hen house to keep Shaun's feathered friends warm, dry and comfortable. The winning design will be made into a real-life hen house plus the designer will win an Aardman model-making experience for themselves and up to 10 friends!! Read full competition details on the Soil Association website.